From crazy ensembles to shocking performances, the award-giving show never lacks when it comes to dropping jaws. The annual Grammy Awards have always been about honoring the brightest musicians in the industry. However, more often than not, celebrities manage to steal attention with other things that could leave people speechless. Whether it is during performance or simply on red carpet, some moments from the awards-giving event stood out than the rest. From crazy ensembles to shocking performances, the award-giving show never lacks when it comes to dropping jaws. While some eventually made people bewildered, some others left people in anger as it wasn’t something that they would be expecting at all. There were also moments that made people feel touched. 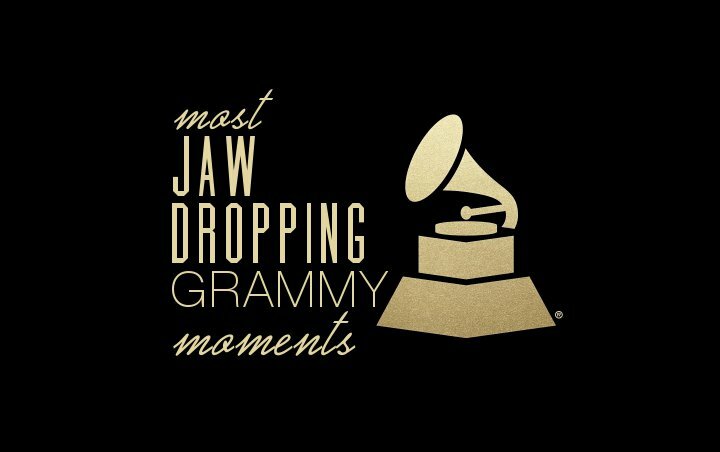 As the upcoming 61st Grammy Awards is just around the corner, let’s take a look back at the most jaw-dropping moments throughout the award show’s history. Twenty One Pilots delivers moving speech in underwear. 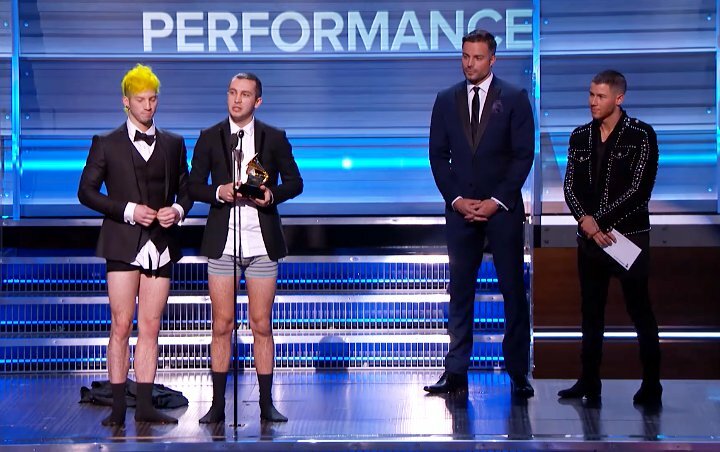 When Twenty One Pilots was named the winner of Best Pop/Duo Group Performance for their hit “Stressed Out” at the 2017 Grammys, the duo took off their pants before taking the stage to accept the award. People in the audience looked confused as to why they did that, but they revealed during their speech that it was an honor to the time where they were still nobody who watched the show in their underwear. “This just goes to show that anyone, anywhere, can do anything,” Tyler Joseph said. Queen Latifah marries 33 couples. There’s something special when Macklemore, Ryan Lewis and Madonna performed “Same Love” at the 2014 Grammy Awards. 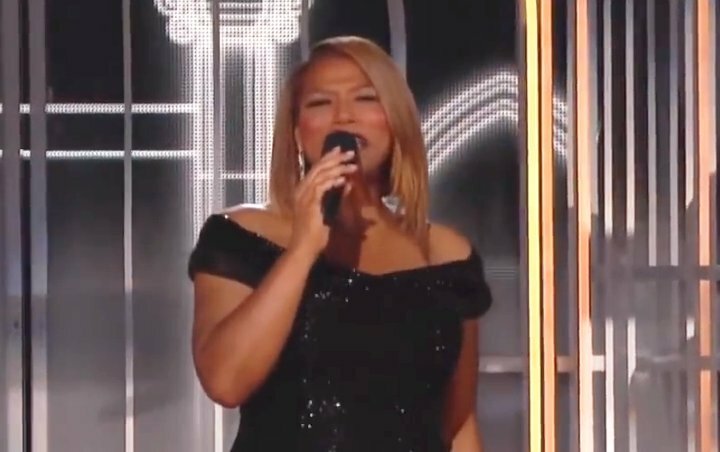 Queen Latifah also joined them to officiate weddings for 33 couples, gay and straight, on the stage. The mass couple exchanged rings at the same time as the singer pronounced them wed, while Madonna launched into a rendition of “Open Your Heart”. The crowd could be heard cheering loudly during the moment. 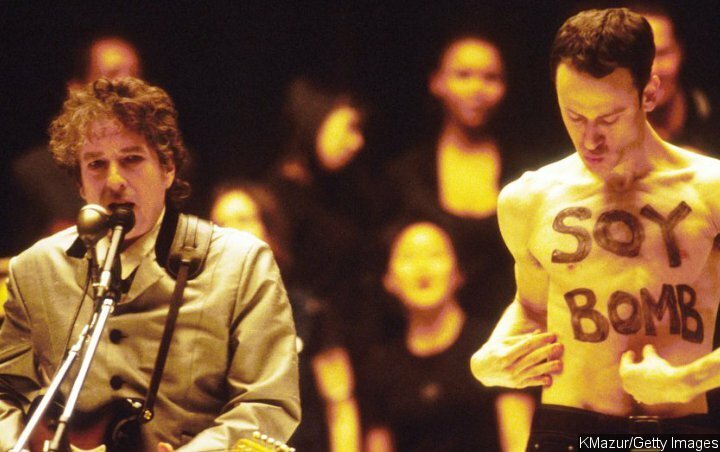 A performance artist crashes Bob Dylan’s performance. One of the most legendary moments in Grammys’ history was perhaps the time when a New York-based artist Michael Portnoy crashed Bob Dylan‘s performance in 1998. The singer was belting out “Love Sick” when Portnoy jumped into the stage and removed his shirt, revealing the words “Soy Bomb” written on his chest. He then proceeded to dance with his eyes closed for about 35 seconds before getting removed by security. Dylan, meanwhile, paid no attention and just kept playing. 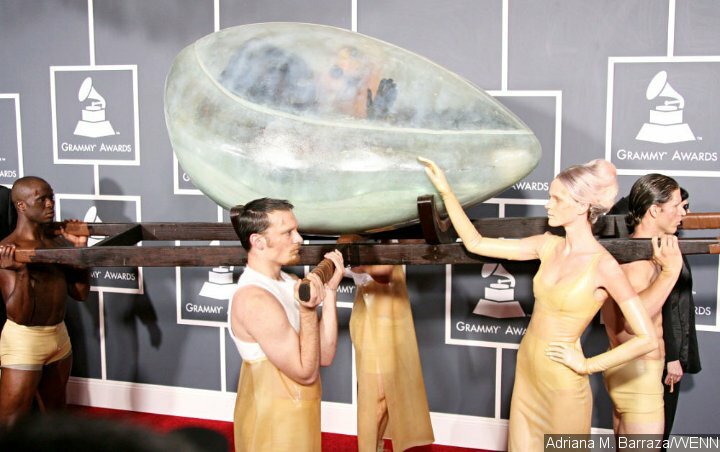 Lady GaGa arrives in an egg. Lady GaGa was all about theatrical in 2011, so it was only natural for her to go all out when she opened her “Born This Way” performance by coming out of a giant egg at the event. However, what made people shocked was the fact that she arrived on the red carpet inside the egg that was carried by scantily clad servants. As the egg was transparent, people still got to see the singer waving her hands from inside. Nicki Minaj levitates when performing “Roman Holiday”. As if showing up with a pope-like person on the red carpet was not weird enough, Nicki Minaj performed an exorcism during her set of “Roman Holiday”. The performance included a video of the rapper being possessed by her alter ego, Roman Zolanski, before viewers got to see her being chained to a wooden board as hooded priests pranced around her. She eventually began levitating over the stage while spitting her bars. Her performance at the time angered the Catholic League, who accused her of mocking the religion. Jon Stewart strips when he opens the award-giving event. Jon Stewart made sure his opening monologue was one to remember when he hosted the Grammy Awards back in 2002. He opened the event with a skit about him getting stopped by what appeared to be airport security. The security insisted to have a full body check on the comedian, who kept refusing while saying he was the host. He then ended up getting dragged by two big men who began taking off his suit. Stewart eventually wore nothing but a boxer. Metallica didn’t win the first Best Hard Rock/Heavy Metal Performance Award. 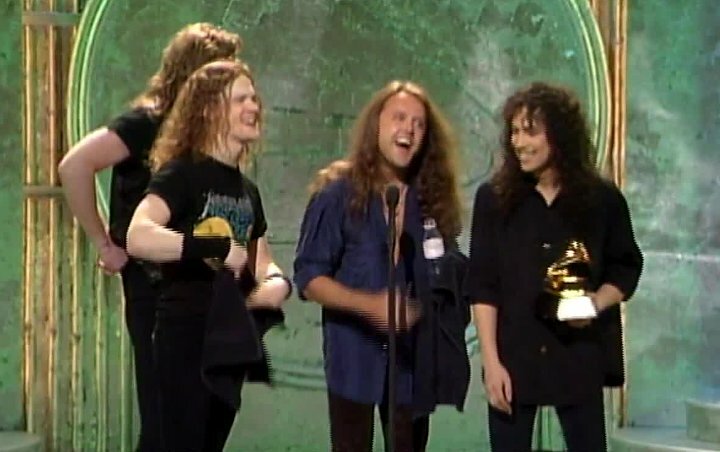 When the Recording Academy first introduced Best Hard Rock/Heavy Metal Performance category back in 1989, Metallica was highly favored to win the accolade for their album “…And Justice for All”. Much to everyone’s surprise, flute-playing band Jethro Tull, who didn’t attend the event, was named the winner of the category even though their genre was nowhere close to heavy metal. The crowd erupted in outraged booing after learning this. Jennifer Lopez stuns in her jaw-dropping dress. The red carpet portion of an award show has always been the perfect opportunity for celebrities to amaze people with their fashion, and Jennifer Lopez definitely didn’t miss the chance. The singer caused national commotion when she arrived in a green Versace gown with a “neckline” that plunged past her navel. If she were to make even one misstep, there was a big chance J.Lo would suffer wardrobe malfunction as she went braless. Copyright © 2016 Celeb Gossip Zone. All rights reserved.